Bighelp provided bus driver to Smt. Savitri Ganesh Zilla Parishad High School, Vaddivaripalem, Guntur district, AP. This school serves children in villages around a 4 to 5 kilometres radius. Most of the children attending the school are financially backward and could not afford to pay for their transportation to the school. Hence student enrolment fell to 50 and the school was at the brink of closing. With determination to save the school, the school headmaster used all her resources and finally found Bighelp organization. 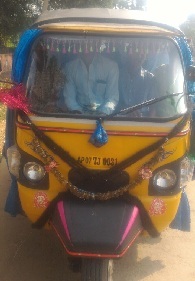 She approached Bighelp with a request to provide a auto rikshaw to transport children from the surrounding villages. Bighelpâ€™s executive team visited the school, verified the needs of the children and approved the project and provided one auto rikhswa driver for transporting the children. Following a positive response received during the first year, bighelp provided one more auto rikhshaw to help transport children from more villages. 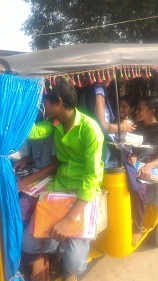 Within 2 years of providing the transportation, the school strength increased from 50 to 125 students. Looking at the impact made by Bighelp. 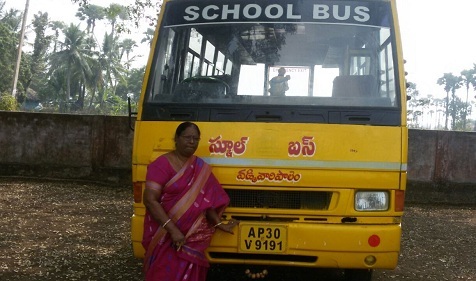 Local villagers responded and contributed to purchase a school bus to be able to transport more children. Bighelp continues to provide a bus driver hence improving the safety of the children as well as increasing the enrollment in the school. Vaddivaripalem is a Village in Repalle Mandal in Guntur District of Andhra Pradesh State, India. It is located 66 KM from District head quarters Guntur. 346 KM from Hyderabad. Zilla Parishad High School is situated in Repalle village. It is co-education school with present strength of 125 students and 9 teachers. Bighelp received a request from Headmistress Z.P.H. 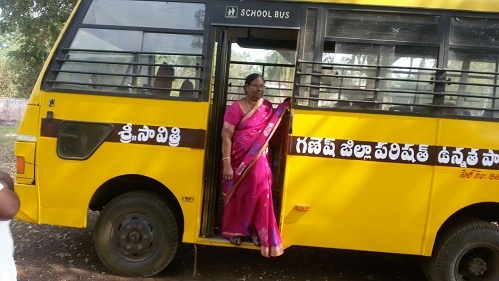 School to provide bus driver to their school. Basing on the request Smt. M. Sarojini Manging Trustee of Bighelp visited the School. She held discussions with the Headmaster and staff. After discussions she came to a conclusion their request for providing bus driver was found genuine. The executive body headed by the Bighelp President Mr. Chand Pasha Shaik has reviewed the need for the support and approved the project.